Vanilla is one of the most favored flavors in the world. The unique and distinctive sweetness is loved by people of any gender and any age. Vanilla is used in many kinds of dishes and beverages, from bread to cakes, from ice creams to coffee. However, when you want to add some vanilla flavor into the dish or beverage that you are making, you may get confused with vanilla syrup and vanilla extract. 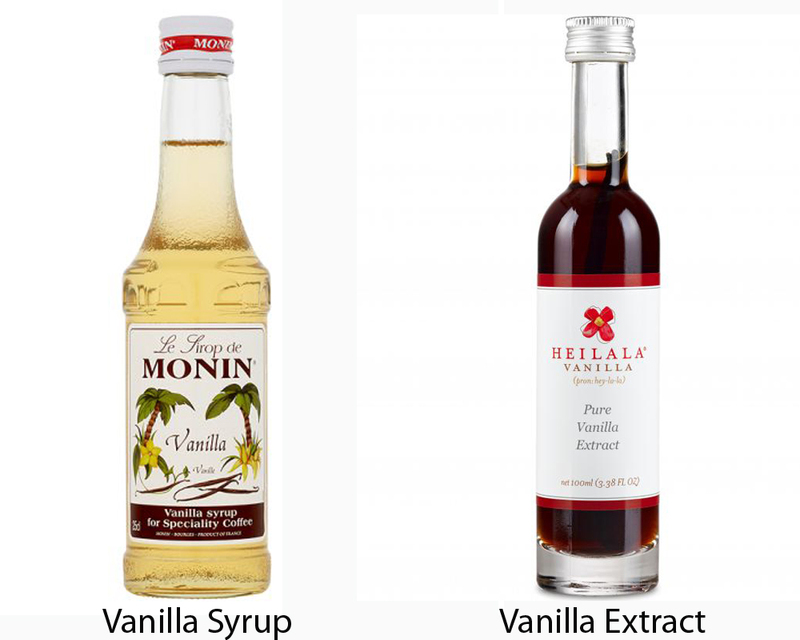 Both vanilla syrup and vanilla extract are available on the market, yet, they are different from each other. Make sure that you choose the right one! 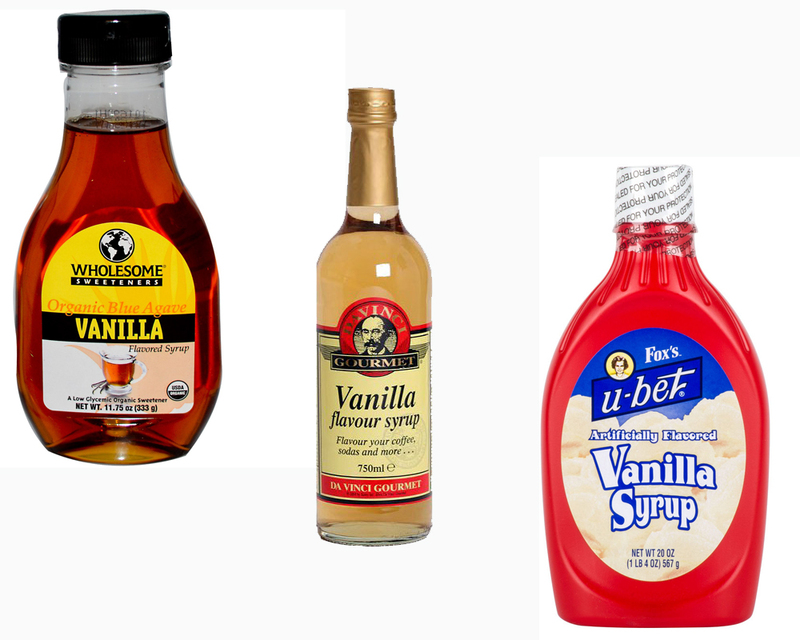 Vanilla syrup is a sweet syrup that is made from water, granulated sugar, and vanilla extract. Sometimes brown sugar and salt are added to enrich the flavor of the final result. It is made by boiling sugar and a little bit of salt in water until the mixture reaches a full boil, then, once the mixture has cooled sufficiently, a few teaspoons of vanilla extract is added. Vanilla extract is a solution that features vanillin, the primary flavor compound in vanilla beans, mixed in alcohol and water. Nowadays, the vanillin used is usually synthetic. According to the FDA, vanilla extract should contain at least 35 percent alcohol and 100 grams of vanilla beans per liter. 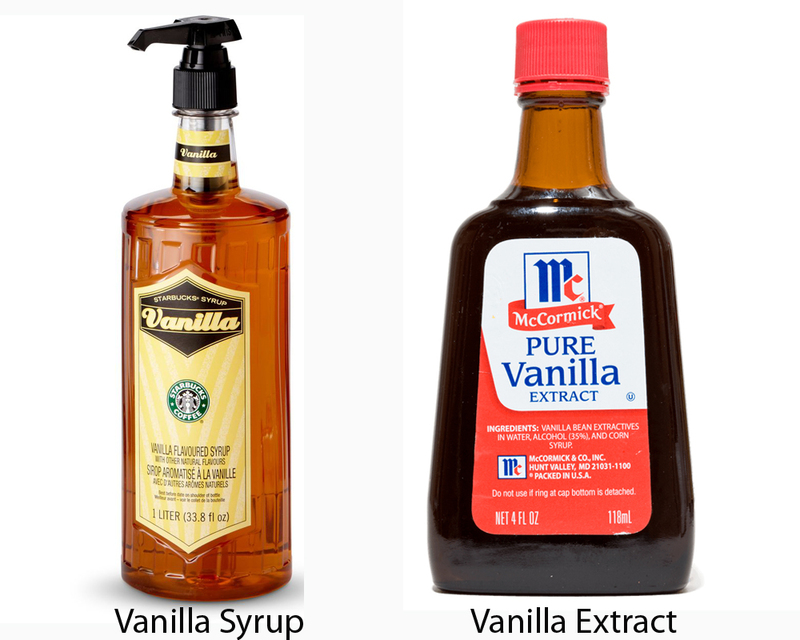 So, vanilla syrup and vanilla extract are very different from each other. Vanilla syrup makes use of a little bit vanilla extract to produce the vanilla flavor and aroma, and typically tastes sweet due to the being rich of sugar. On the contrary, vanilla extract does not contain additional sugar, and features a high amount of alcohol; thus the taste is harsh and biting. 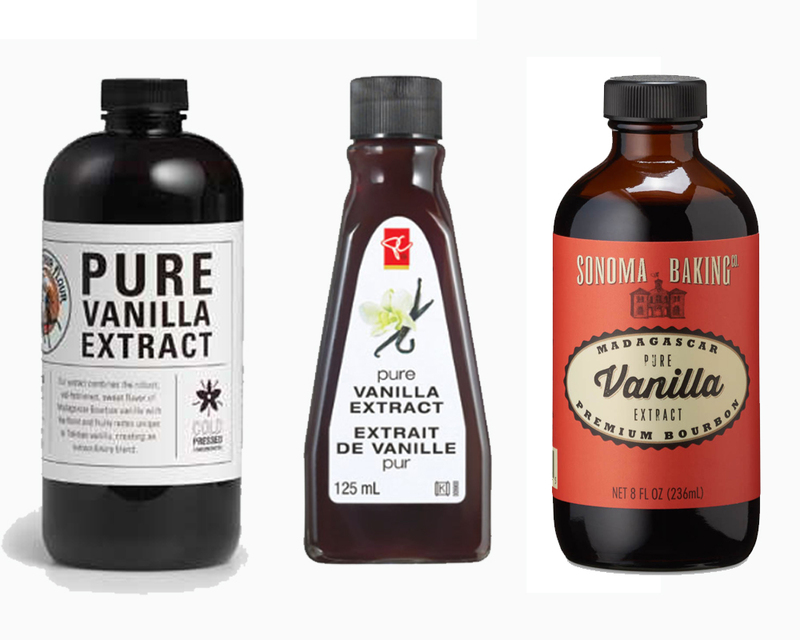 Use what your recipe calls for, but you can make vanilla syrup from vanilla extract whenever needed.